Criss Smith is an underground magician who regularly performs at the Bristol Illusions Bar UK, where he has honed his craft and creates real world effects, moves, controls, switches, forces and much more. This DVD contains his proven and tested effects, that kill in his working environment. "Beautiful application, the card punks will love this." A visual color change that can be seen to happen right under the spectator's nose. You can use this effect in any setting or condition. Your spectators will see the card visually change right before their very eyes. This version of PERPLEX can be used in a different way to create an invisible switch between 2 playing cards. 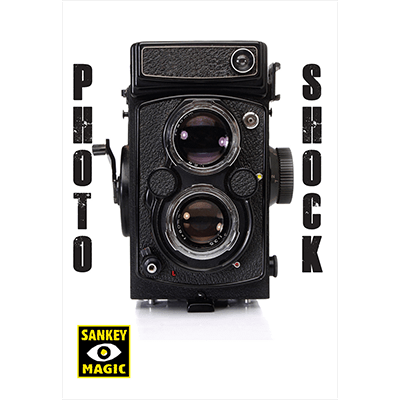 This lends itself to some great applications and killer effects! A very powerful and convincing switch to add to your magic arsenal. A single playing card is chosen and then placed back into the center of the deck. Once the top card is shown being a different selection and left face up protruding away from the deck, you give your spectator half a second to visually see their card change into their first selection. 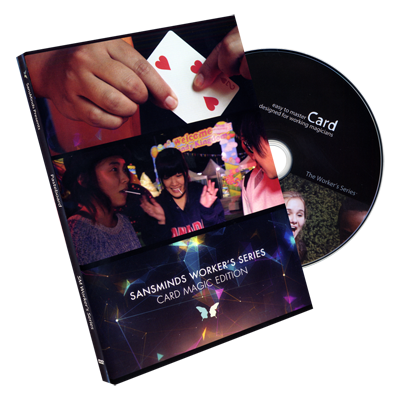 'Eye Popping Magic at Its Best' and a very worthy 'Ambitious Card Routine' to add to your set. A selected red card can be shown, signed and placed face down into a red face-down deck. Whilst you leave the red deck tabled and never touch it, the spectator can fan the cards out to discover that their signed selection has turned face up! You add an extra kicker by showing the signed selection has changed to having a blue back color. Sit back and take your applause. A really nice Sandwich routine. Two red Jacks are produced, which you leave to one side. The spectator then chooses a card and leaves it lost in the middle of the deck, which could then be shuffled as much as they want. Now the two red face-up Jacks, from the table, are placed back into a face-down deck. 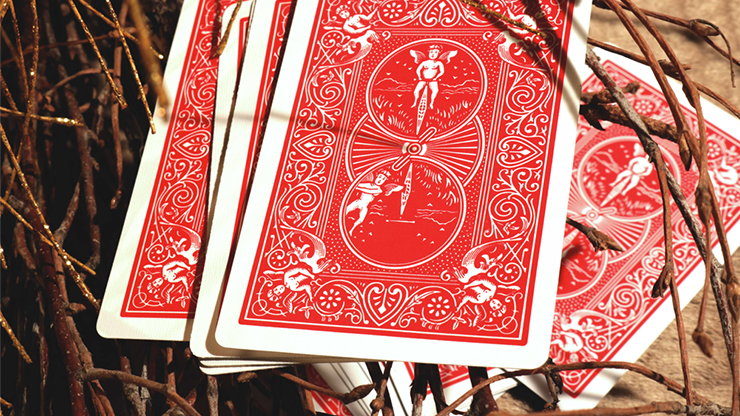 With only a few words, you elegantly spread the deck and the spectator's selection is caught between the two red Jacks. This effect is a really nice Ace Assembly, where four Aces can be seen tabled and one card is then selected. This card can be left face down in a face-up pack of cards fanned out on a table in full view. The four Aces are then shown face up, and one of the Aces turns face down. The suit of the Ace matches the suit of the selected card. After a short pause, the two cards instantly change places with each other! 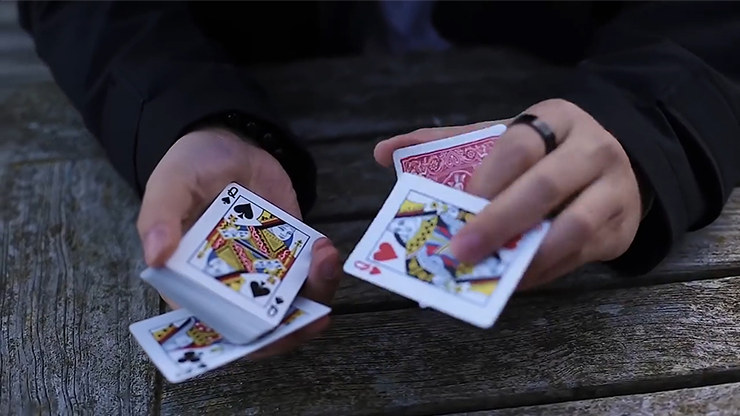 With a few really cool shuffles and cuts, a card is seemingly freely chosen. This force can be applied to any effect and looks awesome. "A really fun move that gets great reactions." "Brilliant, it looks like real magic and can be performed in the real world."